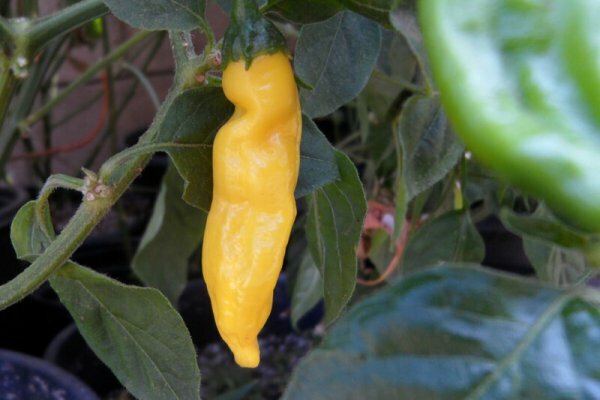 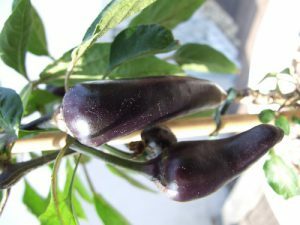 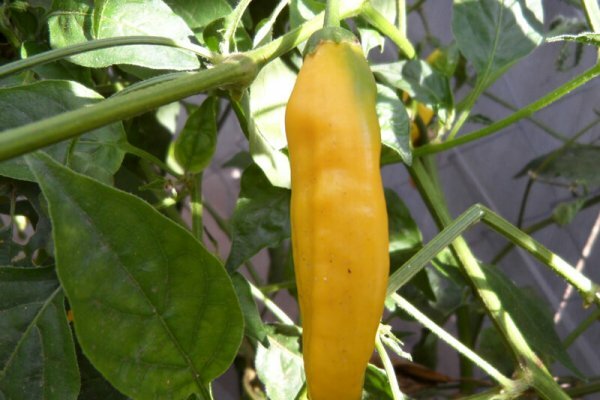 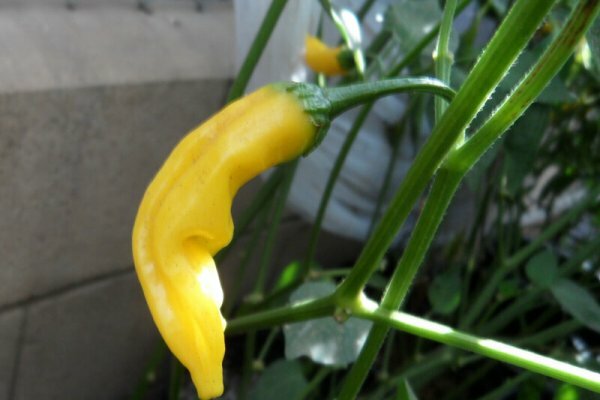 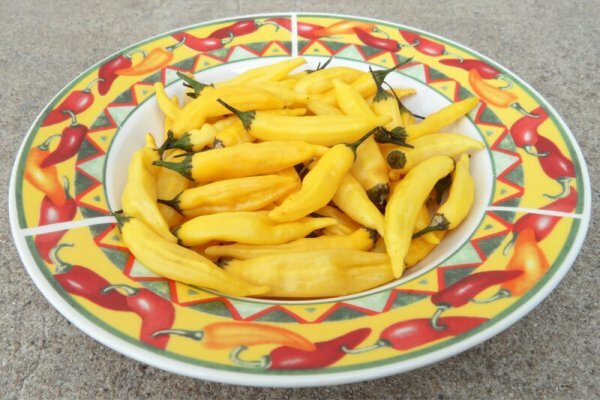 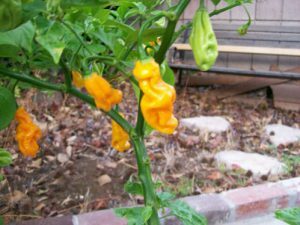 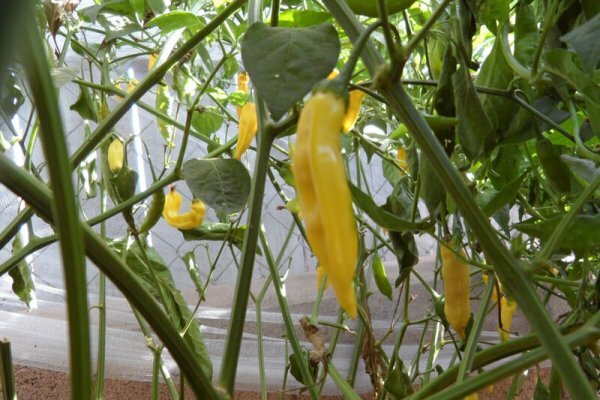 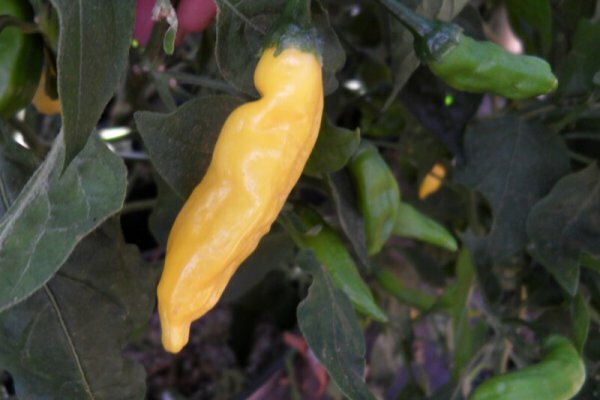 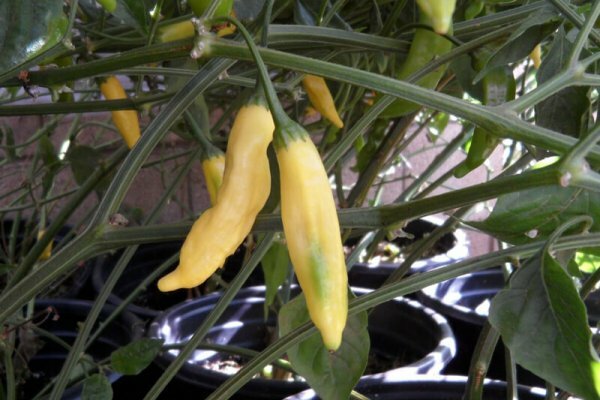 The Aji Pineapple is a rare variety that is named after it’s slightly Pineapple taste. 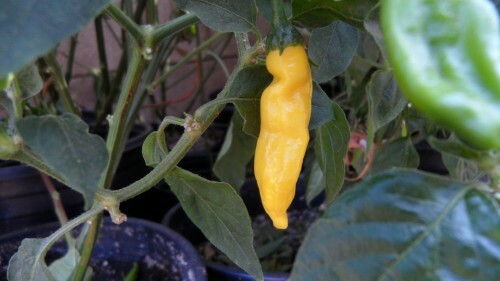 Like other Aji’s it is very productive. 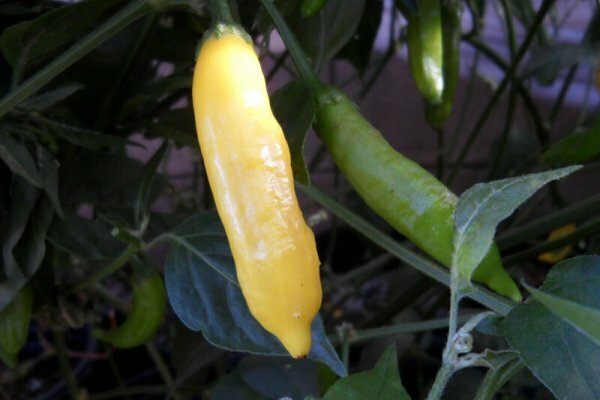 Peppers ripen from light green to light yellow. 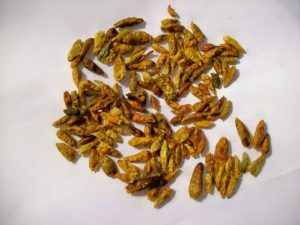 They average about 3 inches long and 1/4 inch thick. 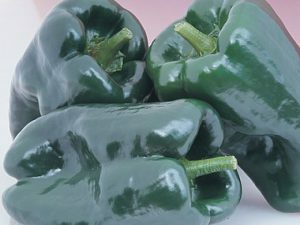 Great for making a medium sauce or salsa.